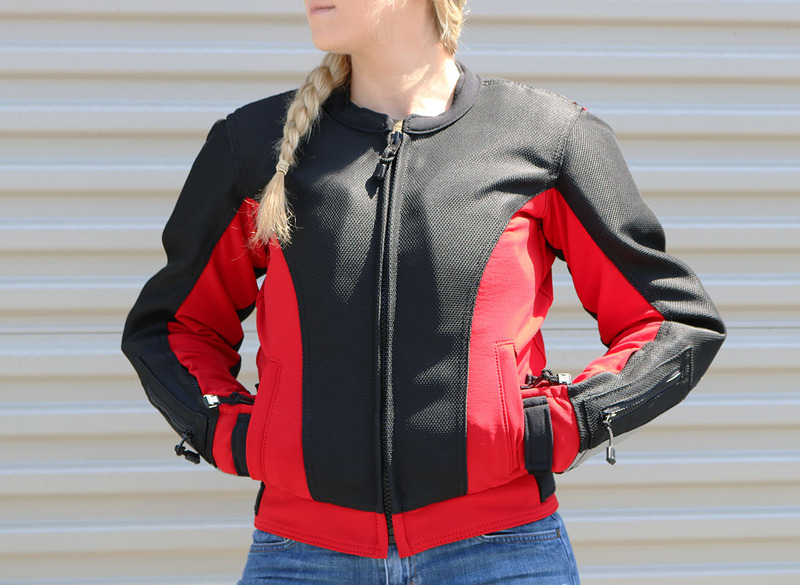 The Monroe Air Mesh Jacket is made in the USA, custom for women. 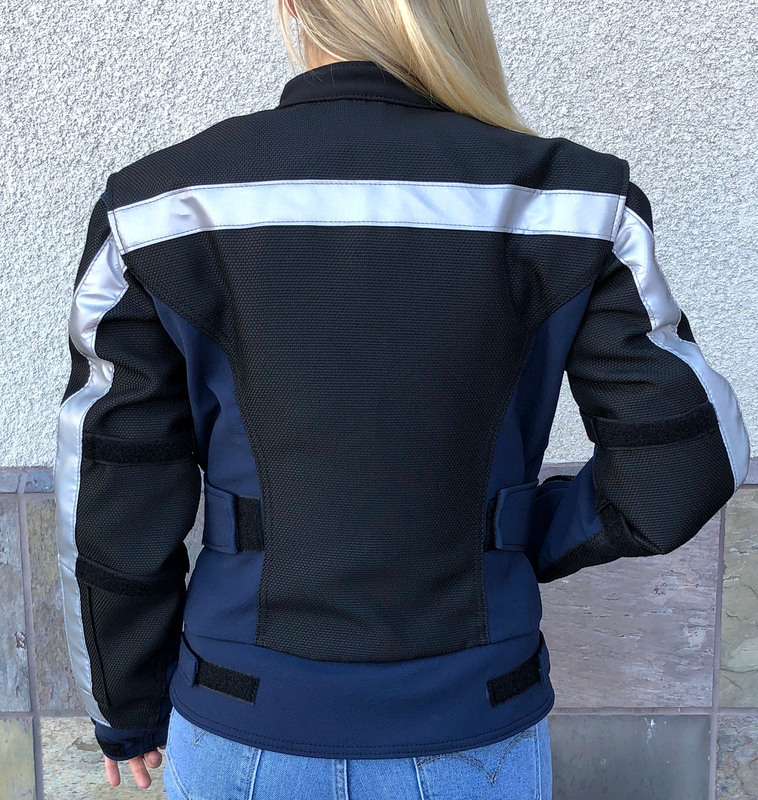 This is our first-ever sport jacket specifically for women! Made with the same quality and craftsmanship as our other blended apparel. The Monroe is available in 27 sizes to ensure proper fit with feminine line lines that contour to your shape (and flatter while they’re at it). Each of the nine available sizes -3XS to 3XL- are offered in 3 different bust sizes to accommodate a wider array of women’s upper body dimensions. 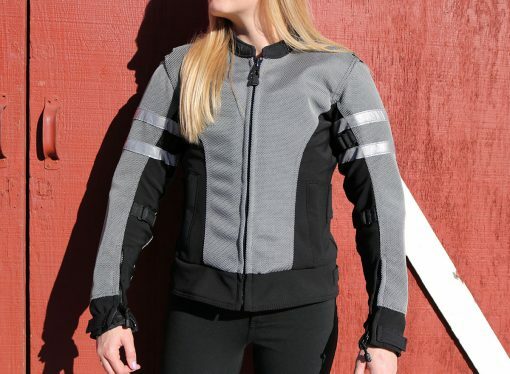 Velcro adjustments at the natural waist, hips, biceps, and forearms allow for even more “hugging”; and for adjustments needed for cold/wet weather layering, and weight fluctuation. 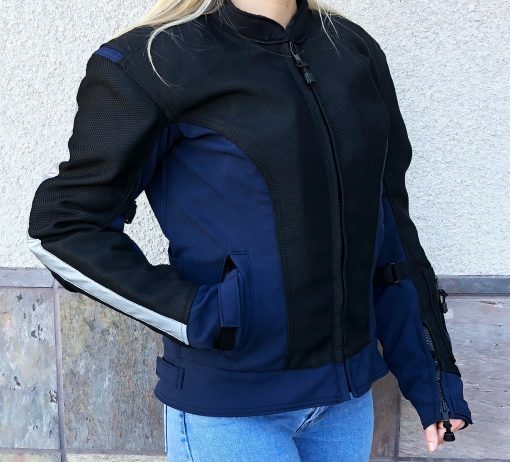 As a company geared toward custom gear, we can further tailor each jacket before or after it is manufactured in any custom size. Air Mesh Jacket standard color combinations: black, black/yellow, blue/black, gray/black and bright hi-viz/black. Many different color combinations can be made. To See the colors CLICK HERE!! Air Mesh colors: black, red, blue, yellow, gray, KTM/Harley orange and high viz. 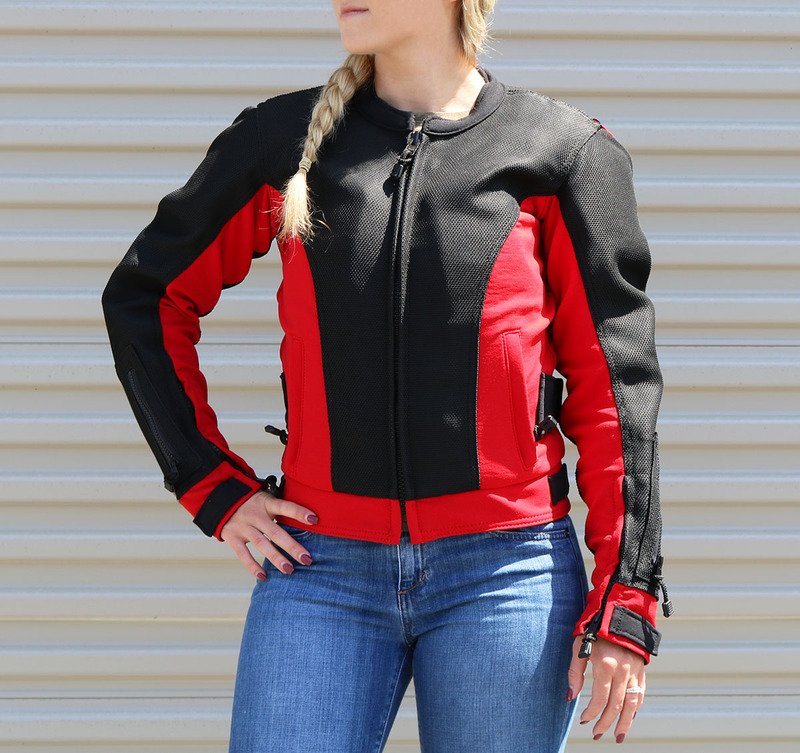 Disclaimer: This jacket is designed for female riders. 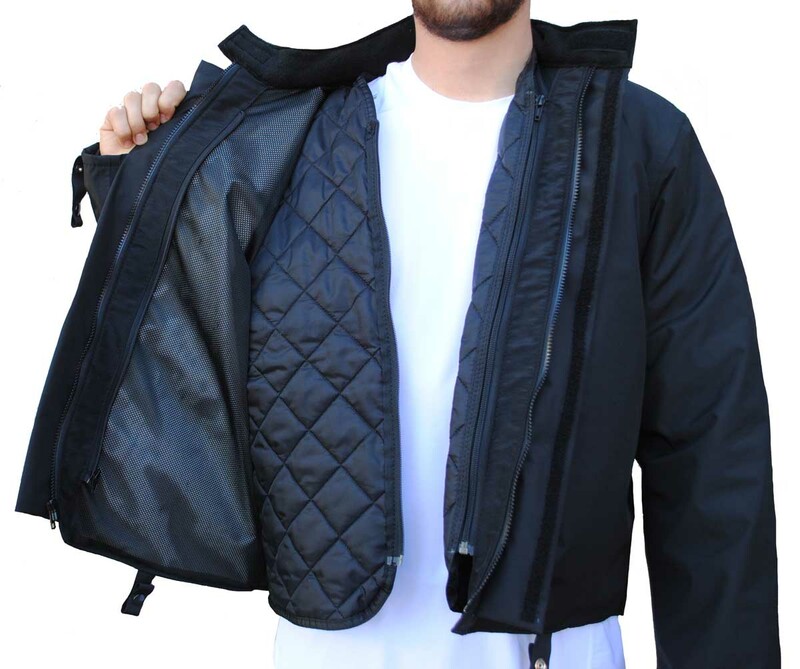 Passengers find this jacket uncomfortable with their arms by their sides. 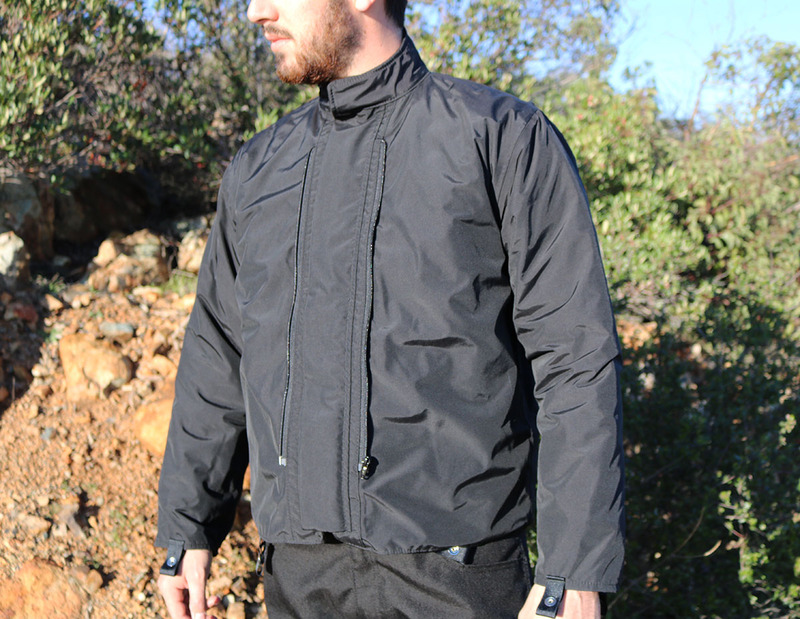 • Hydrophilic Nylon Mesh Lining, fully covers the inside of the jacket. This new Hydrophilic Mesh Lining will wick away sweat and make the suit feel comfortable against the skin. • Full circumference heavy duty waist zipper to connect with pants. Note: All waist cut jackets should zip to the pant. Waist cut jackets can ride up the torso when riding or in a tumble. 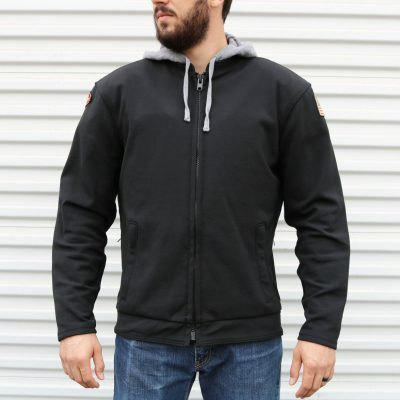 • Two inside zipper pockets and two outside zippered pockets in the front. • Heavy duty main zipper and locking cuff zippers. All zippers are top quality YKK. • Velcro adjustments at the natural waist, hips, biceps, and forearms. • Small zippered pocket located on the sleeve. This small pocket works well for quick access to keys or toll road change. • Clear Velcro Pocket (6” long and 4” wide) This pocket can be used for maps or identification to enter secure facilities. 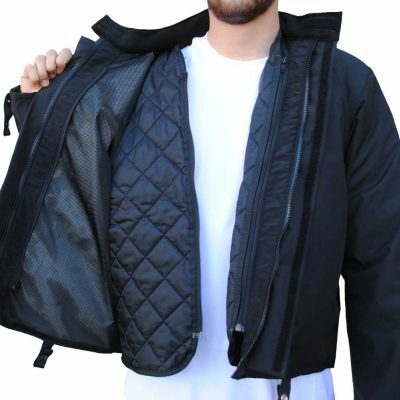 This pocket attaches very quickly with Velcro, and can be taken on and off in seconds. Unless specified, we put this pocket on the left sleeve $29. • 3M 1.5″ Scotchlite bright yellow reflective across back. No charge. Remove the liner completely and ride from 60f to 120f. See: “Why Remove the Aero-Tex Liner in Motoport’s Dictionary”. Why is this better? The Mesh is 10 times stronger than leather and less than half the weight. See “Save Your Hide” to learn more about the tear and abrasion strength. 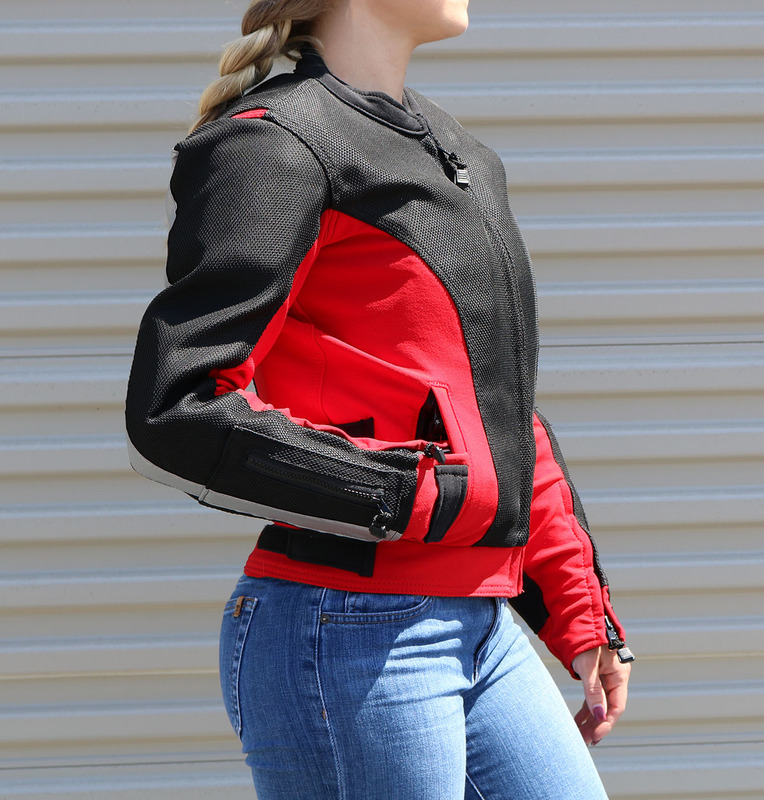 The Monroe Air Mesh Jacket has the highest tear strength of any other brand motorcycle jacket ever made! 1260 pounds to tear with equal abrasion strength to brand new competition grade leather. Take your body weight and multiply that by the speed on a motorcycle. The best competition grade leather tears at 110 pounds. In many cases just after a few months of use the leather looses tear/abrasion strength and can tear/abrade at a low speed tumble! Each time leather gets wet and dries up to 20% of the tear/abrasion strength is lost. 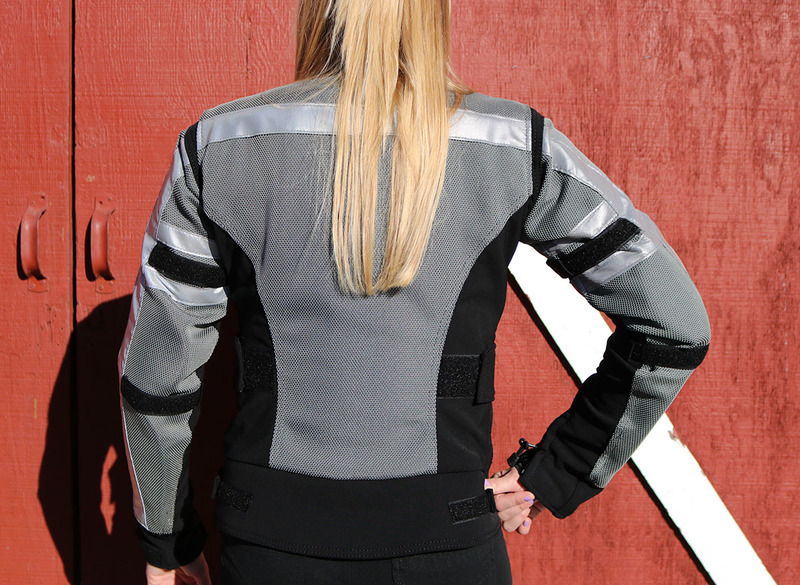 Even after ten years of use the Monroe Air Mesh Jacket maintains it original tear/abrasion strength. Motoport Safety Lock Stitches all of the construction seams that will provide more than 2000 pounds of strength. 5 threads are woven on the inside along with 3 threads sewn over the top of the seam. Each thread has over 100 pounds of tear strength. • Monroe Air Mesh Jacket combination colors: black, red/black, blue/black, gray/black, yellow/black, hi-viz/black and orange/black. Many different color combinations can be made. 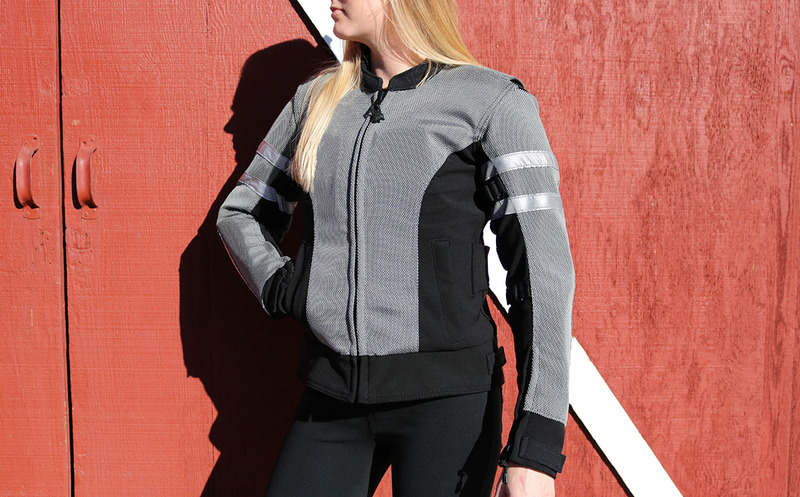 See the Ultra II Air Mesh Jacket photos to see all the colors. To ensure proper sizing Motoport needs you click on the link below and follow the instructions as shown. These measurements are REQUIRED to complete an order. Click on the link below to view the Monroe sizing tool. 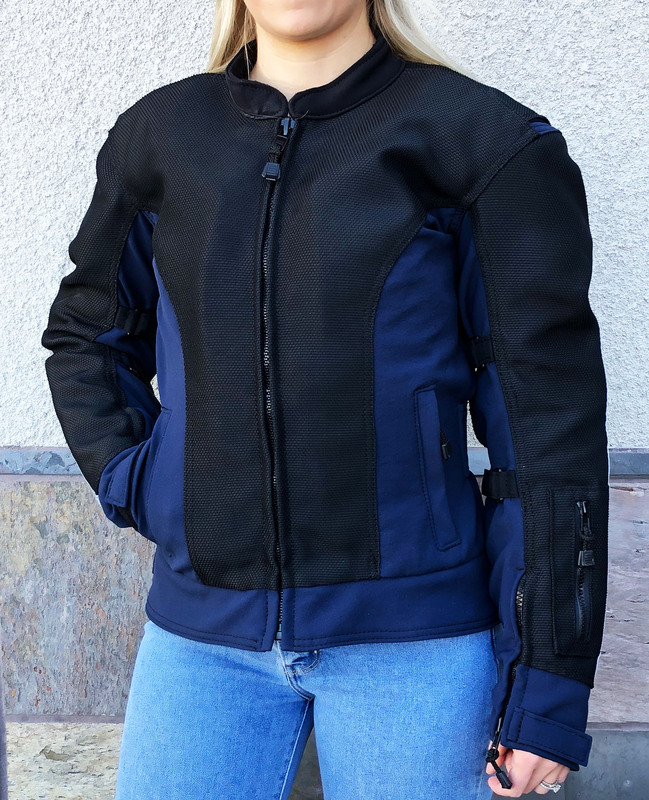 • To support the claims made by Motoport about Materials Made with Dupont™ Kevlar® Fiber , and to confirm the protective/long lasting qualities of this clothing , this garment has a 7-year warranty. • IF YOU EVER CRASH, AT ANY SPEED, IN A MOTOPORT GARMENT (SUIT, JACKET, PANT, OR SHIRT) Made with Dupont™ Kevlar® Fiber AND MOTOPORT CAN’T REPAIR IT, MOTOPORT WILL REPLACE THE GARMENT FOR FREE. 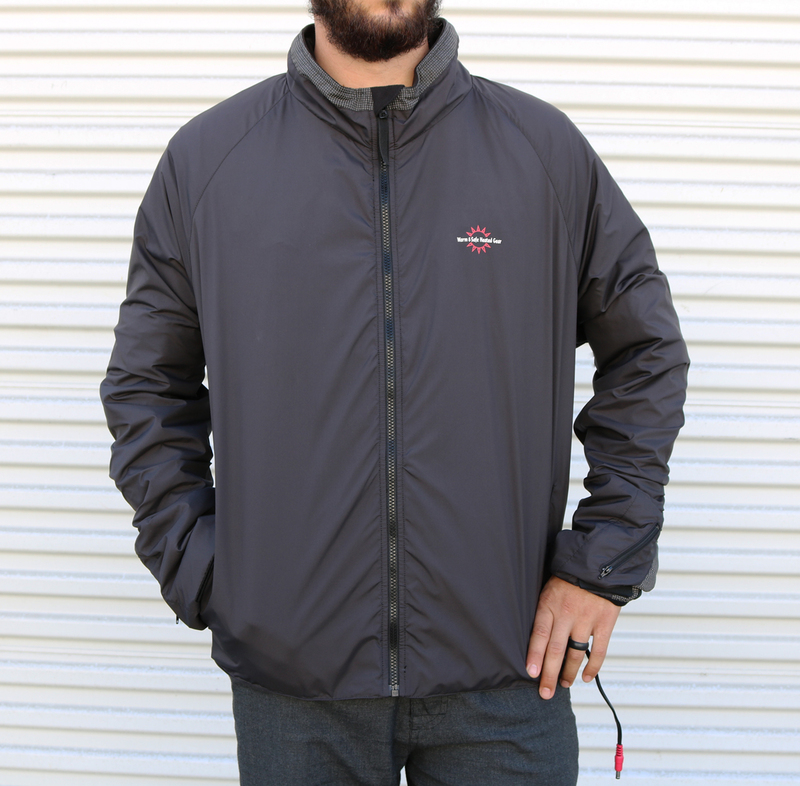 • The Monroe Air Mesh Jackets are made here in the USA in house by Motoport. • Never once has Motoport ever needed to replace any of the Jackets/Pants/Suits after a crash. 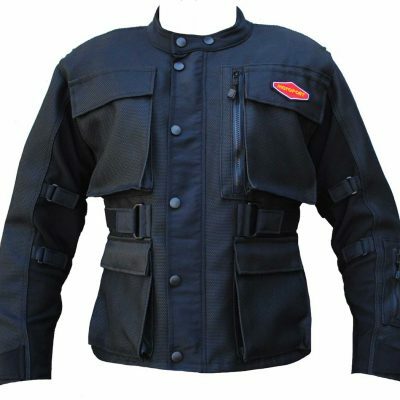 Motoport can repair or alter the jacket in approximately 7 to 10 working days. • Note: You can be put on the calendar to get your jacket sooner without color choice or sizing. Motoport would charge 50% on a credit card the other 50% when the order is shipped. If you change your mind before we start on the jacket we refund 100% of the deposit. • Production times vary throughout the year. A current actual production time is on the home page directly below the flash photos.